It’s a safe assumption to say that all of us want to be happy. But did you know that in addition to feeling lighthearted and content, happiness also boosts our personal productivity? Science has proven that happy people accomplish more. And, there are simple, scientifically proven things we can do daily to increase our happiness quotient. A genuine smile make us feel good. Smiling enhances our mood, increasing our attention and focus while reducing stress, especially during challenging times. A true smile involves our entire face, reaching and including our eyes. Exercise has an overwhelming impact on our happiness and well-being. Even a small, daily dose can dramatically enhance happiness. We can all find time to squeeze in 7 minutes to take a brisk walk, bust out some jumping jacks or dance to our favorite song. Achieving true happiness is a personal, everyday process that comes from inside each of us. Happiness isn’t something we can buy or that someone gives us. Like everything worth having, happiness is something that takes focused effort. Your attitude makes the difference! Our attitude and how we react to the world, the people in our lives and the challenges we face either lift us up or bring us down. We always have a choice. 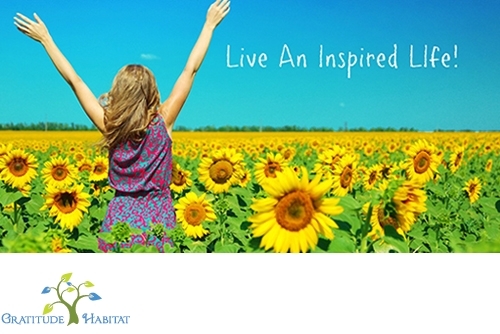 By striving for an optimistic outlook and focusing on the good, we allow happiness to take root. Take charge of your personal happiness! 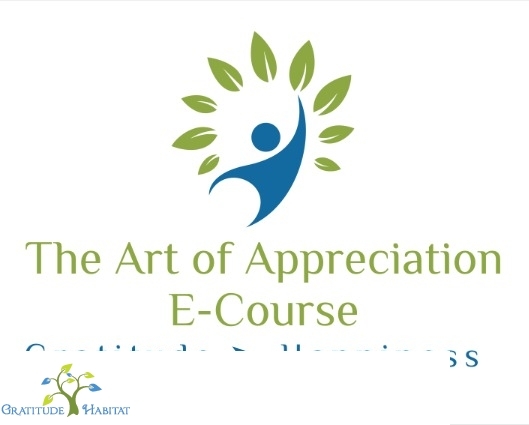 Embark on an adventure of appreciation with our 30-Day E-Course. Receive $7 off through July 30, 2016 when you use promotional code GETHAPPY. Neil Pasricha is a Canadian author and speaker who advocates positivity and simple pleasures. He is known for his New York Times best seller, “The Book Of Awesome”, as well as his TEDx talk, “The 3 A’s of Awesome”. Backed by loads of research, his book, “The Happiness Equation”, discusses how we can train our brains to be happy. Happiness is something we do to make life ‘awesome’ rather than the result of everything being awesome. It comes from conscious awareness and thought using practical, effective and enjoyable strategies. Researchers have found that the more physically active we are, the greater our overall feelings of excitement and enthusiasm. And it doesn’t take much: just 30 minutes of brisk walking, three days a week will do it. Now those are words to live by. Fun is good. We need to find time to let our hair down and enjoy life. Find time today to sing, dance, laugh, skip, be silly. Have some fun. Life is too short for being serious all the time. All too often, we get caught up in the serious things life throws at us. Can we pay our bills this month? An argument we had with a loved one. An issue in our job or problem with our health. Feeling overcome with everything we have to do each day. Know that your kindness has a ripple effect in the universe. Just like gratitude, kindness is powerful. It can have an enormous impact on the world. Opportunities to be kind are all around us, each and every day. When we spread the seeds of kindness, we help others and also fill our own souls and hearts. If you look up the word joy and happiness, they are often used synonymously. But, are they really the same? Gratitude guru, Robert Emmons, believes there is a fundamental difference between the two. We tend to base our idea of who we are on our everyday roles. We alter who we are based on our role as parent, spouse, friend, sibling as well as what we do in our jobs or what professional qualifications we possess. We may even change our personas in different social situations, acting out of character because we think we have to do so to fit it. Fundamentally changing who we are to fit our various roles hinders our ability to truly be our authentic selves at the deepest level. Research suggests that authentic people are well-liked and benefit from social support and other positive outcomes associated with experiencing close relationships. Emotional strength tends to be misconstrued as a lack of feeling. Many believe emotions are the opposite of reason and emotional strength is simply a form of numbness that often presents itself to others as superiority and unwavering toughness. In reality, emotional strength has little to do with toughness and quite a bit to do with resilience, two very different things. Thanks to the development of positive psychology, one thing has become clear: it is not how little chaos we experience in life, but how we respond to it, that counts. 1. They display peace more than power. Genuinely strong people often do not exhibit dominance, aggressiveness or power. They understand that real power is in being your own source of control rather than controlling others. Peace is the most unwavering, unshakable, resilient strength you can possibly possess. We’ve been taught to be disappointed, be ashamed or lose confidence in ourselves when we make a mistake. Because of this, many of us do everything in our power to avoid making mistake. This includes not taking risks that could lead to (perceived) failure, going against the grain, thinking outside the box and doing things outside of our comfort zones. For the most part, technology is incredibly beneficial. It enables us to do a lot more in less time, allowing us to be more efficient and effective. But there are drawbacks. Faster communication has reduced the level of personal connection in daily interactions, especially when it comes to expressing our gratitude. Instead of a handwritten note, most of us tend to send a quick text or email. But written thank you notes are a small touch that has the potential to leave a lasting impression that make people feel very special. Handwritten notes may be sent for any occasion after a meeting with an important customer or client, when you receive a gift, or when you’re invited to an event. To ensure a positive response, keep your thank-you notes short, simple, and meaningful. Here are 3 more tips to keep in mind to write thoughtful thank you notes.